In this review we explain why you should not buy Mass Income Machines from Jacob Allen and John Forbes. 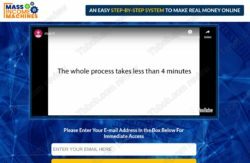 Mass Income Machines is presented in a way that suggests it is a program that can make you money on autopilot. It is integrated with the Clickbank affiliate marketing program and it allegedly will secure you sales and commissions. According to the video, you can start making money right away. We have seen hundreds of programs that promise to make you money with Clickbank. They promise to automate the marketing process and generate you commissions. In other words, they want you to believe that for a small fee you will get a residual income that works on autopilot. Does it sound real? Of course not! Mass Income Machines is no different. It just cannot work. 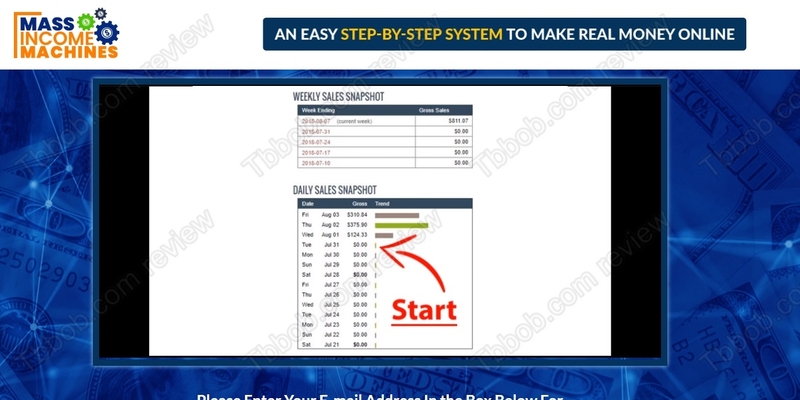 A system that costs $37 cannot generate you hundreds of dollars per day. That is just impossible. Everything Mass Income Machines will do for you is to point you to Clickbank and show you that you can make money promoting their products. But the hardest part, which is getting customers and sales, won’t be done for you. As we already mentioned, these miraculous Clickbank selling systems come and go. They are anonymous and they don’t work. Mass Income Machines is no different. The guy in the video presents himself as Jacob Allen, but if you read the disclaimer, you will learn that it is a fake name. This always is a bad sign. Mass Income Machines cannot make you the money it suggests, it is a useless system, stay away from it. If you came to our website because you are interested in earning money in trading, start on a free demo to see how it works. Please familiarize yourself with all aspects of trading, including risks, before investing real money.